This was a medieval wool town on the route of the old Roman Stane Street. Its history really develops from 1140 when a large Cistercian abbey was founded here. The monks were extensively sheep farmers so this promoted the wool trade from the 15th to the 18th century and Coggeshall's prosperity was based on this. 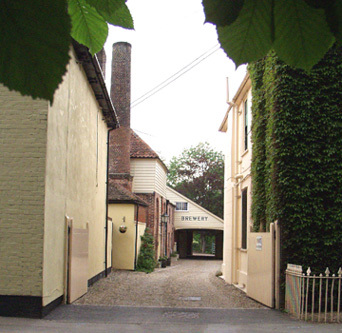 Coggeshall is sited on the banks of the River Blackwater in north-east Essex. It is steeped in history from pre-Roman to modern times and many communities worldwide have traced their ancestral roots back to this charming village. has around 5000 inhabitants and over 200 listed buildings which includes two important National Trust properties – Grange Barn and Paycocke House. The remains of a 12th century Cistercian Abbey lie on the outskirts of the village and on Church Green stands the church of St Peter-ad-Vincula, an Essex 'wool' church. Just a mile or so outside of Coggeshall is Marks Hall, an outstanding country estate and arboretum. Coggeshall has much to offer to both the casual visitor or those looking for a great place to live. about a mile outside Coggeshall. wind down, and watch wildlife. lanes it covers a distance of 81 miles.